Planet Nine is out there, and astronomers are determined to find it, according to a new statement from NASA. In fact, mounting evidence suggests it’s hard to imagine our solar system without the unseen world. The hypothetical planet is believed to be about 10 times more massive than Earth and located in the dark, outer reaches of the solar system, approximately 20 times farther from the sun than Neptune is. While the mysterious world still has yet to be found, astronomers have discovered a number of strange features of our solar system that are best explained by the presence of a ninth planet, according to the NASA statement. 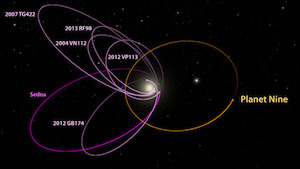 In 2016, Batygin and co-author Mike Brown, an astronomer at Caltech, published a study that examined the elliptical orbits of six known objects in the Kuiper Belt, a distant region of icy bodies stretching from Neptune outward toward interstellar space. Their findings revealed that all of those Kuiper Belt objects have elliptical orbits that point in the same direction and are tilted about 30 degrees “downward” compared to the plane in which the eight official planets circle the sun, according to the statement. Using computer simulations of the solar system with a Planet Nine, Batygin and Brown also showed that there should be even more objects tilted a whopping 90 degrees with respect to the solar plane. Further investigation revealed that five such objects were already known to fit these parameters, the researchers said. Since then, the astronomers have found new evidence that further supports the existence of Planet Nine. With help from Elizabeth Bailey, an astrophysicist and planetary scientist at Caltech, the team showed that Planet Nine’s influence might have tilted the planets of our solar system, which would explain why the zone in which the eight major planets orbit the sun is tilted by about 6 degrees compared to the sun’s equator. 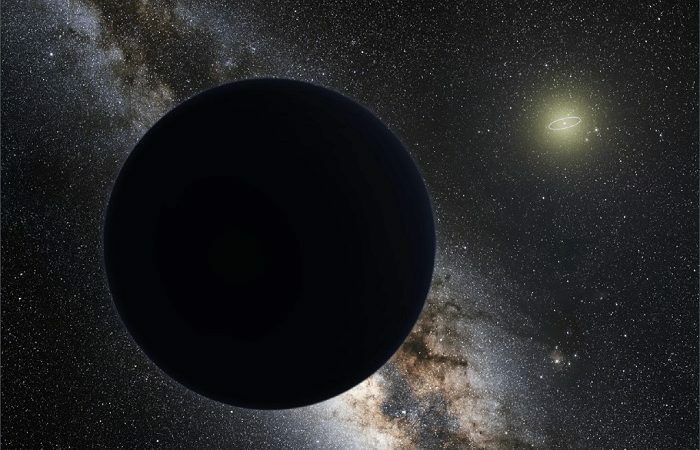 “Over long periods of time, Planet Nine will make the entire solar-system plane precess, or wobble, just like a top on a table,” Batygin said in the statement. Finally, the researchers demonstrate how Planet Nine’s presence could explain why Kuiper Belt objects orbit in the opposite direction from everything else in the solar system. Going forward, the researchers plan to use the Subaru Telescope at Mauna Kea Observatory in Hawaii to find Planet Nine, and then deduce where the mysterious world came from. The most common type of planets discovered around other stars in our galaxy has been what astronomers call “super Earths” — rocky worlds that are larger than Earth but smaller than Neptune. However, no such planet has yet been discovered in our solar system, meaning that Planet Nine could be our missing “super Earth,” the researchers said.